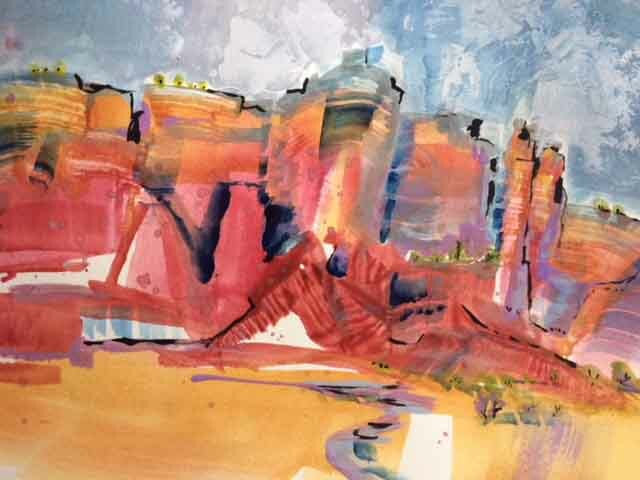 I have returned from Ghost Ranch in northwest New Mexico - the beloved landscape of Georgia O'Keeffe! I stayed for two days in her first little cottage at the ranch - happily painting the Pedernal mountain from her front porch. A week of exploring the Ghost Ranch valley, box canyon, Georgia's home in Abiquiu, and standing "right there" where Georgia painted some of her most iconic paintings of this iconic place. Incredible. Beauty. Everywhere. One of my new Independent Traveler Workshops is offered in 2018 at Ghost Ranch - see Independent Traveler Workshops. You know you want to go. You know you want to paint it. Even if you think you can't paint - yes, you can! 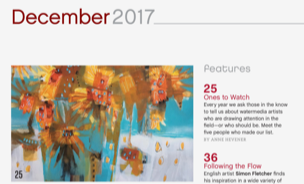 Watercolor Artist Magazine December 2017 issue - out now! And MORE - This painting "Sunflowers for Vincent" is on exhibit in San Pedro CA at National Watercolor Society's International Open Exhibition. It was awarded the Bonese, Collins, Turner, Experimental Award. After many requests I have packaged up art workshops in Ireland and several stunning USA locales. 3-5 days painting with my instruction while recording your own memories in acrylics or watercolor. Pure MAGIC. Details on Art Instruction on my website -- look for Independent Traveler Workshops! Now everyone can paint (Yes, YOU can!) in beautiful locations that I love! 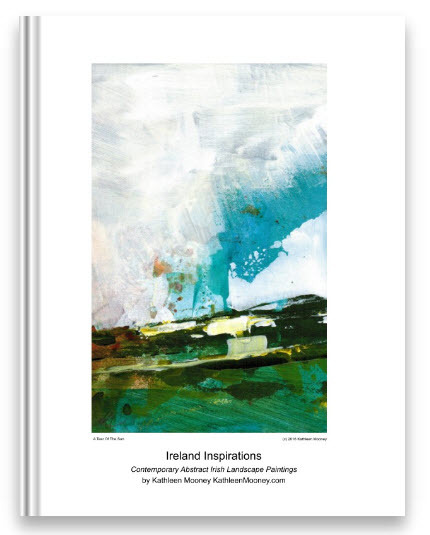 My book "Ireland Inspirations" from 2016 paintings done in Dingle, Ireland. NEW!!!! Monthly 1 Day Workshops at Franciscan Life Process Center. Acrylics and Watermedia, Abstraction, Composition and Finishing - bring MORE power to your painting... learn from my decades of dedicated studio practice! Workshop Schedule at FLPC: More of my workshops will be added each month. To ensure you have a spot reserved - and to recruit your painting buddies to attend too! To make a commitment to yourself to PAINT - and block out time on your calendar! Many organizers have to decide as far as 30 days in advance if they have enough reservations -- or if they need to CANCEL. Book your spot EARLY! 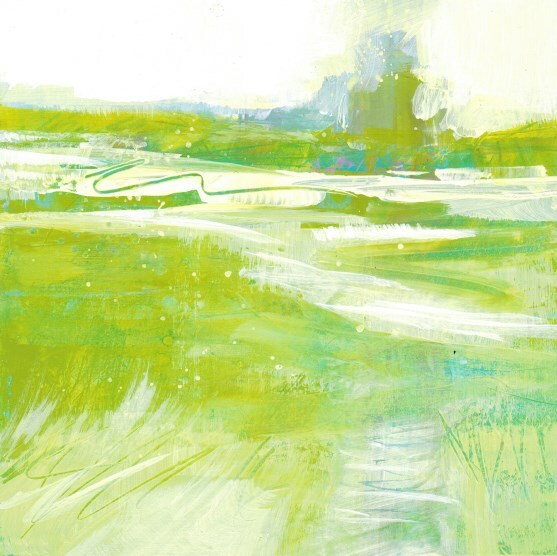 At least 44 of Kathleen Mooney's paintings are featured at Flat River Cottage at 317 East Main Street, Lowell MI 49331 Flat River Cottage - I have a nice new selection of greeting cards and my books at Flat River Cottage! 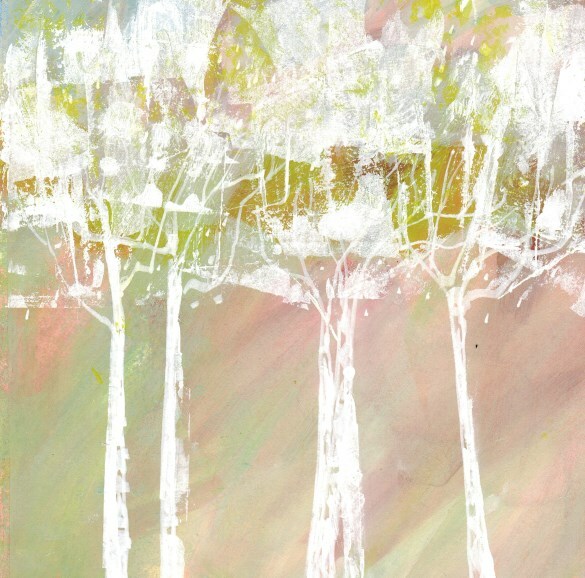 New Images on the website - new paintings in the store! 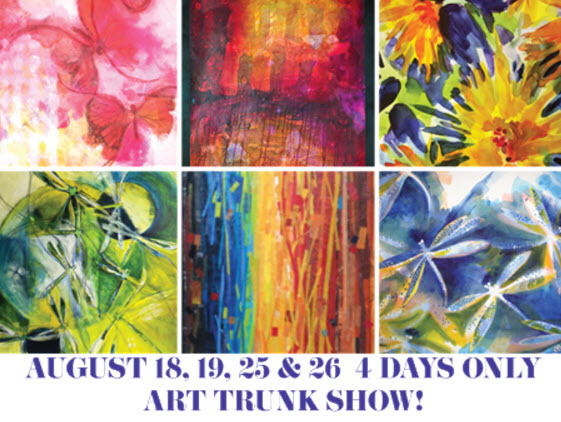 Lansing Art Gallery - located in downtown Lansing - just down the street from the state capitol building - paintings and greeting cards by Kathleen Mooney in the Gallery Shop. Their website is Lansing Art Gallery - New paintings on exhibit by end of June 2017! Design Quest D2 D2 D2 - 4181 28th Street in Grand Rapids 49512 has many of my rugs featured and on display for purchase or custom order in gorgeous contemporary room settings. They are the local Michigan source for my 20 rug designs for Foreign Accents Rugs. Design Quest 800-944-3232 Contact me if you would like a personal tour of the rugs on display! As usual - If you would like an appointment to view my art or have me bring some pieces to your home or business - just contact me via the website KathleenMooney.com or email! It would be great to see you! Thank you for reading all the way to the bottom. Have a great day!